COLORS- StarBlend Cake MakeupTM is available in over 50 amazing true colors! PRO TIP- Barrier Spray can be used to make it sweat resistant. To remove, lather with soap and rinse with water. 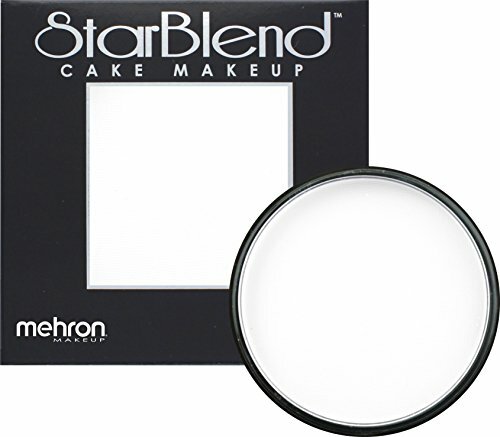 StarBlend Cake Makeup is a highly pigmented pressed powder that can be used wet or dry. This essential powder makeup transforms imagination into reality. The full coverage formula was developed to withstand the utmost in extreme performance conditions, including hot stage lights. Available in a wide range of shades, skin tones, jewel tones, plus black and white. StarBlendTM can be applied dry with our Paradise Makeup AQ Smoothie Blender, or wet with our Natural Sea Sponge. Colors mix well by blending on the skin or by shaving dust from the container and mixing on a clean surface. StarBlendTM lasts longer than conventional cake makeup and can be sealed with our Barrier Spray to make it sweat resistant. Remove with soap and water.